PRAYER PROMPT ••• The battles we fight don’t always come with bloodshed and war. Arguments with family and friends. Battles rage in us and around us and sometimes, we get too tired to fight. The thing is, God doesn’t want us to fight! When we take our individual battles to God, He gives us the strength and wisdom to get through — provided, of course, that we don’t keep trying to grab the sword from His hand! When we give our battles to God to fight, we have to trust Him to fight them. We have to let Him work in our life and let Him give us the strength and wisdom to do what we are to do. 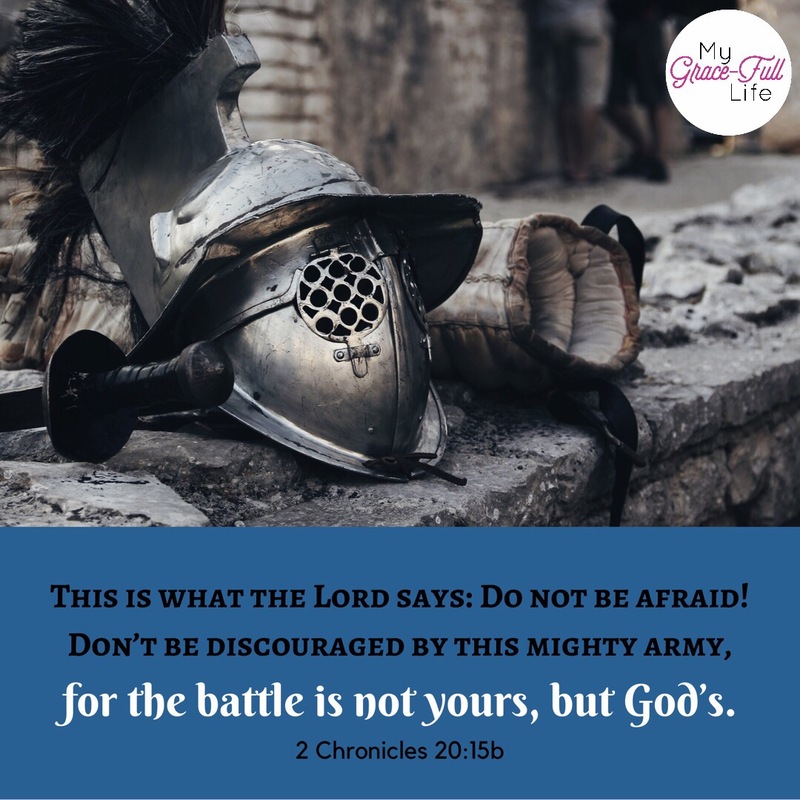 As you pray today, whatever battle you are facing, surrender your sword and let God fight the battle. Ask Him to give you rest and let Him take the lead.